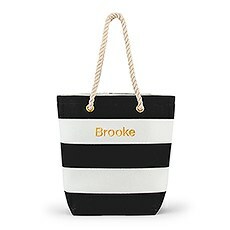 A wide variety of popular, personalized gifts any bride will love from robes, jewelry, totes, compacts and accessories. Looking for an out-of-this-world gift for your favorite bride? 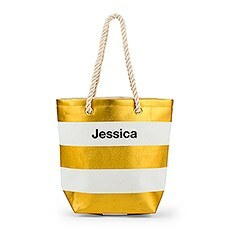 Personalized wedding gifts from Weddingstar are the way to go! Choose a custom bride gift box with photo frame that's inscribed with her name and her beloved's to fill it with yummy goodies, herbal teas and one of our elegant necklaces. 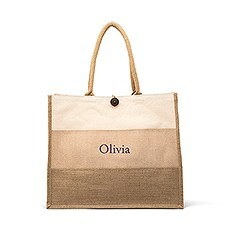 Or deck her out with all personalized gear inscribed with her initials, name or a special message! 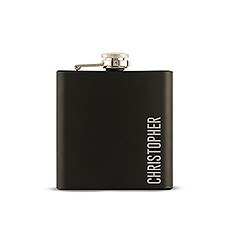 Are you still wondering, "what's the best gift for my bride?" Our team has curated a wonderful assortment of thoughtful, unique and bespoke bride gifts that suit every single bridal personality, whether she be glammed-out, laid-back or trend savvy. 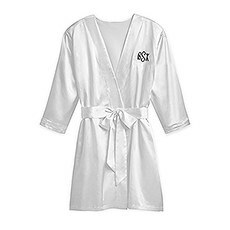 Our selection of personalized bridal gifts includes all the day-of essentials she needs to slip right into a bridal state of mind — yes, that includes comfy, custom robes and bride bags personalized to perfection -- plus staples for planning the wedding, the honeymoon and so much more. 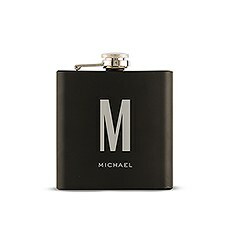 Custom personal care items and accessories include compact mirrors, makeup bags and other makeup accessories, hip flasks, journals and tote bags. 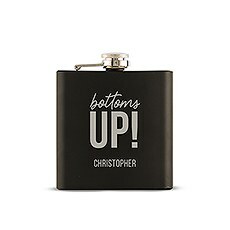 You'll also discover a wide variety of personalized coffee mugs, wine glasses and shot glasses. Is the honeymoon to be a seaside adventure? 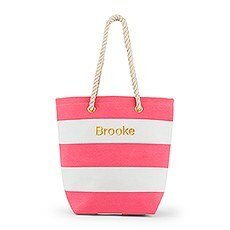 Browse our personalized beach gear such as beach totes, waterproof wet swimsuit bags, cooler bags, tank tops, trucker hats with visors, drink tumblers, sunglasses and flip flops. For brides who are elegant and always finely dressed, we have exquisitely designed jewelry and jewelry boxes that can be personalized with her initials. These very personal gifts that will enhance her natural beauty and give her a lovely way to store her jewelry that will provide lasting memories for many years to come. This hand-curated selection includes a huge assortment of wedding day staples that she'll positively adore. 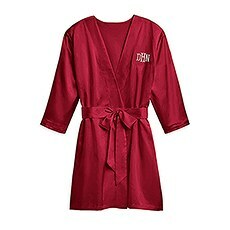 Surprise her with a silky-soft kimono robe personalized with her brand-new monogram, nickname or a special phrase, or go comfy and spa-worthy with an embroidered robe that she'll wear long after the knot is tied. 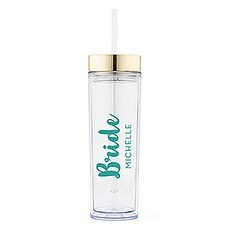 Looking for more practical bridal gifts? 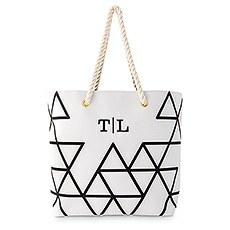 Bride tote bags are always a popular choice, especially when they're stuffed to the brim with sweet, thoughtful extras like her favorite bottle of bubbly and a personalized bride flask or compact mirror that she can carry throughout the wedding day in her bridal clutch. 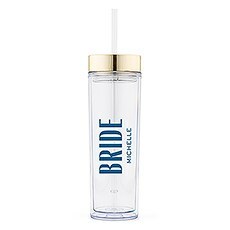 We've also got tons of unique bridal gifts for the big-personality lady, including personalized water bottles for the fitness-focused Mrs.-to-be plus charming keepsake boxes and bride apparel. 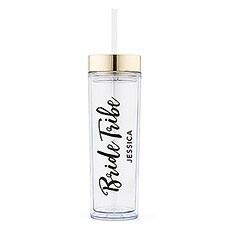 All these bride's gifts are excellent for spoiling the bride courtesy of the bridesmaids, mom, sisters or anyone else who just wants to make her feel totally special on the day of the wedding or during the bachelorette party. 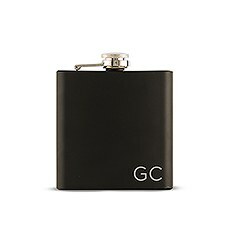 If you're looking for more special gifts that the bride will love, make sure to peruse our complete selection of gifts for her to find something that speaks to her special personality.